The art of hiring a top Instructional Designer is in writing job advertisements that resonate with candidates. In order to stand out as an employer of choice, your organization needs to write powerful Instructional Designer job ads to attract the best talent out there. There are so few qualified Instructional Designers in the job market, which makes writing a strong job ad even more important. Following are some expert tips for crafting job advertisements for Instructional Designers, as part of our new series ‘An HR Manager's Guide to Hiring Top Instructional Designers’. Don’t be afraid to seek the insight of others before you sit down to write the job ad for an Instructional Designer. Consider talking to current or departing employees who have held the position. They will be able to provide the best insight possible into the job. They can explain what it’s like to hold the position, what needs to be changed regarding the job, and how they view the position as part of the larger organization. Consult with Instructional Designers who are active in industry associations or online communities too. Dig deeper into the actual requirements, skills, qualities, and traits of a successful Instructional Designer in order to write a more effective job advertisement. This information can help appeal to Instructional Designers who are seeking a career with a company that cares enough to offer something more. Review competitor job ad descriptions for Instructional Designers. If there is content in those job ads which is relevant to the job, repurpose that content. Compare the requirements you have to those at other companies. Then, offer something better. For example, you may offer flextime, the opportunity to get advanced training, or a more generous benefits package. Just like an Instructional Designer, the job ad must be flexible. If the description is not flexible, it tends to limit the career goals of candidates prior to them having the chance to explore the opportunity. You can make job descriptions flexible by showing off your company’s flexibility. This centers around the ability to work from home, travel often, earn promotions, make changes in the office, and more. You also need to sell the culture of your company in the job description. Instructional Designers don’t want to work for companies that offer dead-end jobs. These candidates won’t even apply for your open jobs if they can see via the job ad that there is no room for advancement. The best eLearning Instructional Designer job ads follow a successful formula. Every job ad should have the traditional aspects: what qualifies the candidate for the job, what the company is looking for in candidates, how to submit the application, and what the company offers in terms of career opportunities. The job ad should also include information that tells candidates the philosophy, branding, and direction the company is headed, and how it stands out in the market it serves. You might even want to consider sharing upcoming projects in the job ad. This is a great way to entice potential candidates. Use the job ad to explain how the right candidate hired for the job can grow with the company. Do not be vague in this description. Be as open and honest as possible. The more you show candidates the growth potential, the more likely it is that your job ad will attract the best Instructional Designers out there today. This goes for all job ads, not just those written for Instructional Designer jobs. Your job ad needs to be aesthetically strong. This means that it should be not cluttered, should not have content just lumped together, and should have plenty of white space. You need to format the job ad appropriately so that candidates can find the most important information without having to read it multiple times. If you want the best and brightest Instructional Designers to apply for your open position you need to be specific about how they can do so. Tell them in plain English how to apply. If you want them to apply via your website, tell them to click through to your website. If you want to receive applications via email, tell them to send their resume and portfolio to a specific email address. Are you taking phone calls? If so, provide them with a phone number to call as well as the times they can call. There’s nothing wrong with stating the performance expectations in the job ad for the Instructional Designer position. 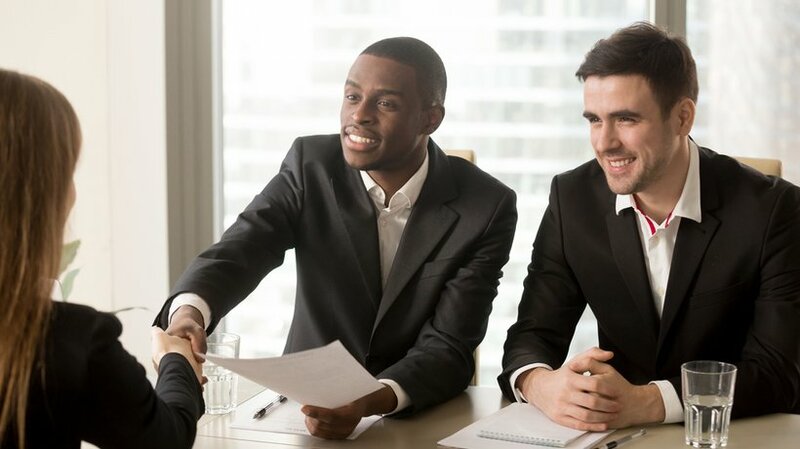 Being upfront with the candidates about what they will be expected to accomplish if hired can help weed out the candidates who aren’t worthy of working for your organization. You should also tell the candidate what he or she can expect from the company if hired. As you can see, there are some vital items that should be included in every Instructional Designer job ad that you create. Don’t miss out on the next great employee. Refine your job ads today.